Norwegian player Tord Reklev has won his third consecutive International Championship title, a feat unprecedented in the history of the Pokémon TCG. 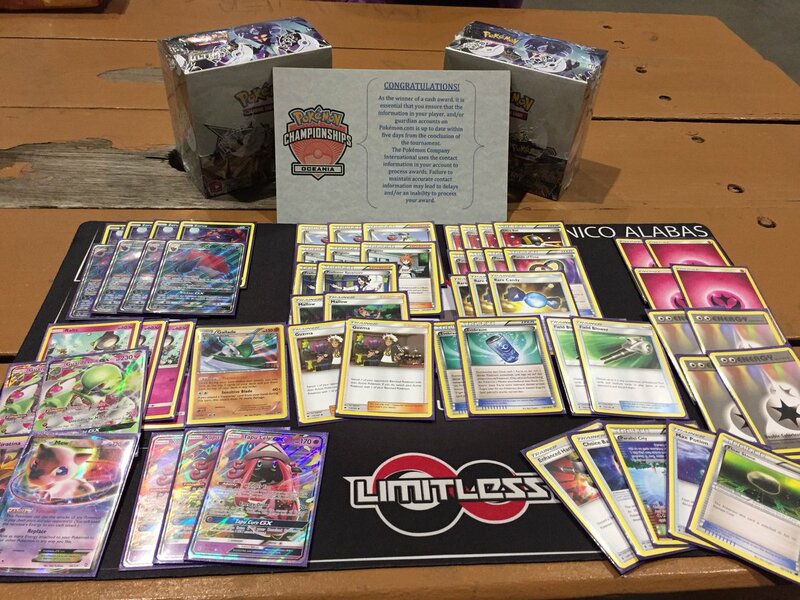 Reklev battled mild illness across the three days of the tournament to take the deck he and the Limitless TCG team created - Zoroark-GX/Gardevoir-GX - all the way into the finals, where he seemed almost destined to come out on top despite strong play from up-and-coming American player Joe Ruettiger. A Prized Mew-EX - a tech card crucial to the matchup against Ruettiger's Buzzwole-GX/Lycanroc-GX deck - did not stop Reklev in Game 3. 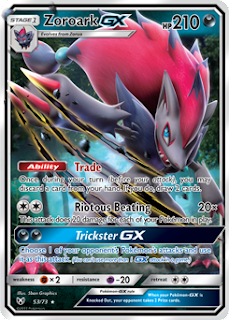 A flash of luck on the final turn - two Puzzle of Time drawn off of Trade - allowed him to attach the necessary Energy to his Gardevoir-GX before slamming down a Guzma to emphatically seal the win. 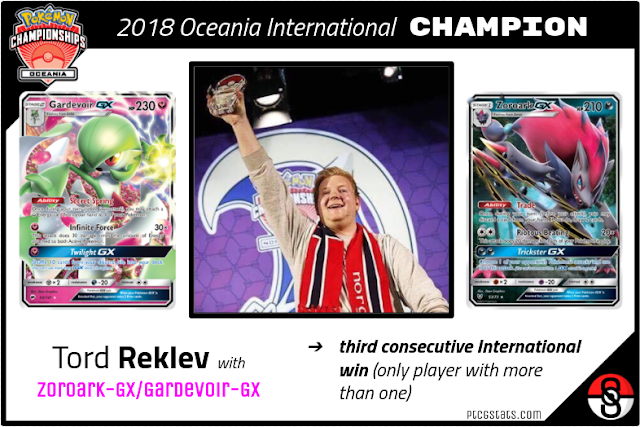 Reklev now owns half of the six International first-place trophies (in Masters) in the history of the game; the only International he has not yet won is South America's. All eyes will undoubtedly be on him again in April, when this year's South American championship kicks off in Brazil. With this win, Reklev has firmly cemented himself as a contender for the "Greatest Of All Time." 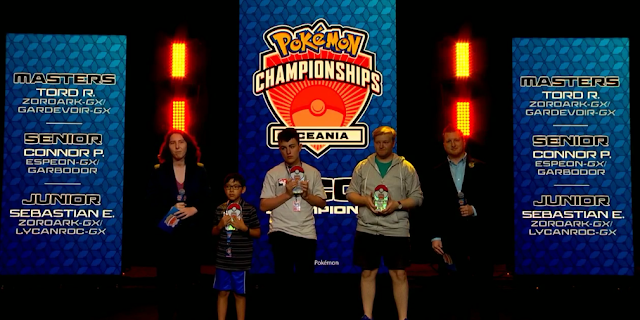 While three-time World Champion Jason Klaczynski, seven-time Regional Champion Michael Pramawat, and other perennial contenders such as Igor Costa have their own cases to be the GOAT, the Norwegian wonder is up there with them.